Woman slicing peppers in kitchen. Grilling adds a smoky flavor to peppers. Green, yellow or red bell peppers lend themselves well to stove-top or indoor grilling, as do hot peppers, such as jalapenos. As you cook the peppers, they become both softer and sweeter. 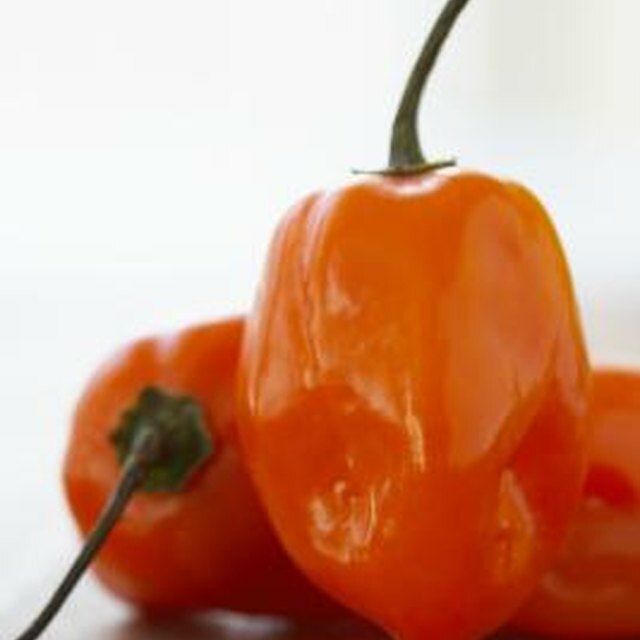 Spicy peppers retain most of their kick, but become juicier during the grilling process. Add grilled bell peppers to salads or serve on a turkey sandwich. Stir into mixed vegetables or try them along with steak or chicken recipes. Add small amounts of spicy peppers to sauces and dips. Set the grate of your grill directly over the flame of your stove. Turn the burner up to a high temperature. Place the peppers on the grate using tongs and grill for approximately five minutes per side. This should make the peppers very well done. If the peppers are not yet well done, cook for five more minutes, checking often. Use good ventilation when grilling the peppers. As you grill the peppers, turn them using tongs. Remove charred peppers from the heat and place them in a paper bag. Close the bag and let it sit for about 15 minutes. This process further steams the peppers. Transfer the grilled peppers to a plate and let them cool for five minutes. Remove large parts of skin from the peppers, especially if sections are blackened. Leave some of the skin on as it adds to the smoky flavor. Cut around the top of the pepper and remove the stem and seeds. Cut the peppers into long strips. Add finished peppers to your favorite recipes. When grilling your peppers, look for a nice even char; they may appear blackened or nearly burnt. Save leftover peppers in a glass jar, with one added tablespoon of olive oil. Do not touch your eyes when working with hot chilies. Wear gloves if needed.